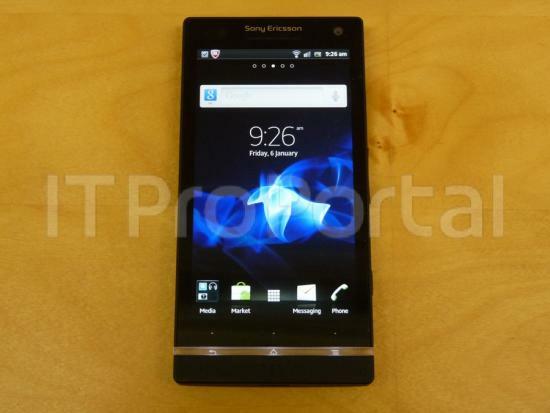 The Sony Ericsson Nozomi, (touted to be the href=”http://en.wikipedia.org/wiki/Xperia” rel=”wikipedia” target=”_blank” title=”Xperia”>Xperia arc HD) has been leaked in the past before, but now it looks like we’ve got the clearest pictures of the device yet. The folks over at ITProPortal managed to get their hands on a set of images showing off the Android smartphone in all its glory. In addition to images of the phone, some pictures showing its benchmarking results were also posted, revealing the specs of the phone. According to the pictures, the Sony Ericsson Nozomi is running on Android 2.3.7 Gingerbread, is powered by a Qualcomm 1.5GHz dual-core Snapdragon MSM8660 processor, a 12-megapixel rear camera, 1GB of RAM and 8GB of internal storage. There is no support for microSD cards on the phone and it makes use of a Micro SIM card as well. The rear of the phone certainly doesn’t look like the Xperia ion that was leaked earlier so it should be a different device (in case you guys were wondering) – though it’s possible these leaked images don’t show the final phone and Sony Ericsson might have made some changes since then. It won’t be too long until CES 2012, so we’ll find out soon enough. Head to the source link for more photographs of the phone.